It’s Digital…. and It’s HALF OFF! Imagine how much faster you could sell your TV show if you had a step-by-step, easy as 1-2-3, course on everything you need to do to get your show ready to pitch and info on how to get those coveted pitch meetings. We’re thrilled to announce the latest, and greatest, version of our home study course – DIY TV PITCH KIT. 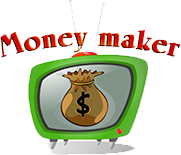 DIY TV Pitch Kit is for show creators who want to pitch their TV shows right the first time. You get one chance to impress media buyers. No more frustrating internet searches looking for resources… no more guessing, hoping you have a good pitch… take a deep breath and relax… help is here. Our exclusive, new, hassle-free home study kit is a digital game changer with 100+ videos, audios and downloads. It is a fool-proof, step-by-step course designed to get you going on your show in minutes. a club with no monthly dues. While we’re still putting on just a few finishing touches, we’re offering the first 100 people who buy our new version a Pre-Release 50% discount. **Side effects may include FUN, feelings of euphoria, and uncontrollable creativity. The standard price for our new DIY TV Pitch Kit is $200. We’re celebrating the Pre-Release with a limited-time 50% discount for the first 100 buyers. Works flawlessly on laptops, tablets, and smart phones. Thank you for your TV Pitch School. 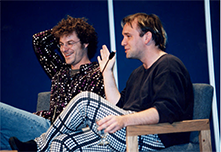 It was instrumental in us landing a contract for our sketch comedy series Bent Pennies. I purchased your TV Pitch package at the LA Show Biz Expo and have just finished the course. 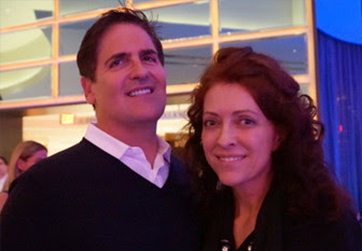 Although I have 40 years of TV production experience behind me, I still learned a lot about selling a show. Thanks so much! I have completed reviewing the TV Pitch School course and I really must say that if I had had this material two years ago, it would have made a multi-million dollar difference. 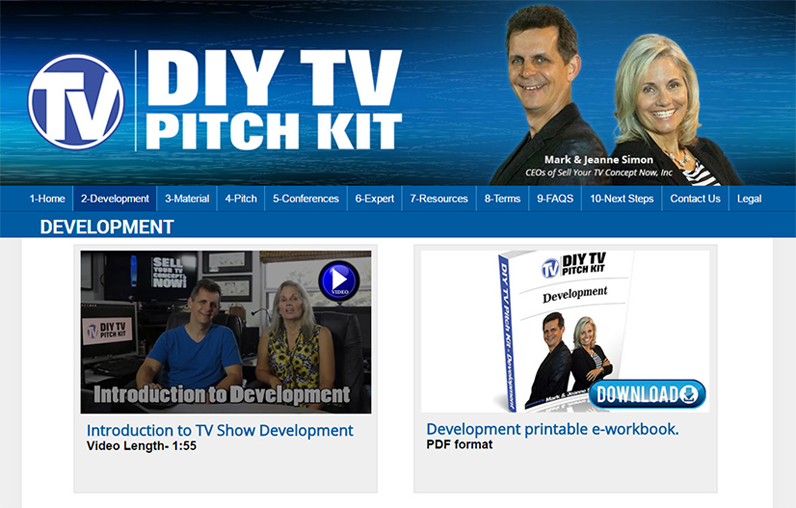 The DIY TV Pitch Kit website is easy to navigate. It’s well organized… the content is clearly labelled, and easy to use so you can get to the fun part of creating, or refining, your TV concept. It has over 100 streaming video/audio presentations and pdf downloads. WARNING! You must act quickly. 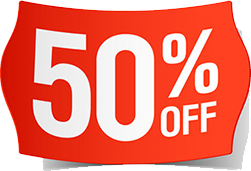 The 50% discount won’t last long. We expect to sell 100 kits in a couple weeks or less. Buy Now and You Only Pay $100 USD. Pre-release discount will end when we have sold 100 DIY TV Pitch Kits. DIY TV Pitch Kit perfect for any type of show. DIY TV Pitch Kit is essential to effectively pitch US and all international TV concepts. 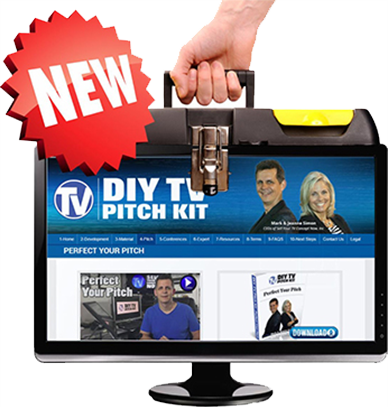 DIY TV Pitch Kit is licensed for one user only. Unlimited use of your DIY TV Pitch Kit for all of your shows. 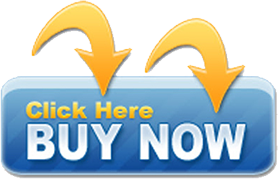 You will automatically receive all updates for no extra charge.